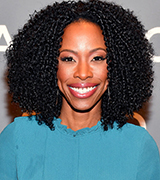 Welcome to Karimah Westbrook Online your official source to follow the news of actress Karimah Westbrook, born October 06. Karimah has played in roles opposite Alfre Woodard in American Violet, Johnny Depp in The Rum Diary and Julianne Moore in Suburbicon. Have a great visit on the site! 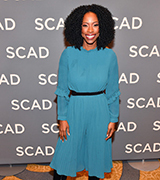 All American cast and showrunner stops by the 2019 SCAD aTVFest on Friday (February 8) at the Four Seasons Hotel in Atlanta, Ga. They attended the press events to promote their CW show All American. See video below where they talk accents, filming in Crenshaw, and more with Entertainment Weekly. Karimah Westbrook Online is the official website for actress Karimah Westbrook. All images found on this website are owned by their original creators. The images and content on this website are used under the fair copyright law 107. If you think something posted is of your property please contact us before taking any legal action.